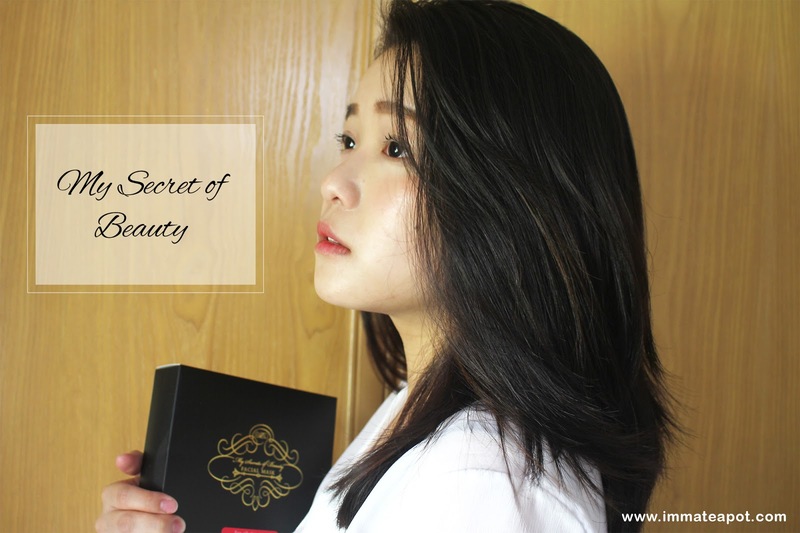 In this post, I'm going to share a little secret of mine, which is also a secret of the famous international actress - Bingbing Fan. If you're a fans of 康熙来了 or 范冰冰, you should have watched the episode where Bingbing was being interviewed and she has shared her great secrets of beauty - Putting on mask whenever she's free. It was what I strongly believe in. Like how we keep our body hydrated, our face and skin need it too. So, do not stop feeding your skin with water! 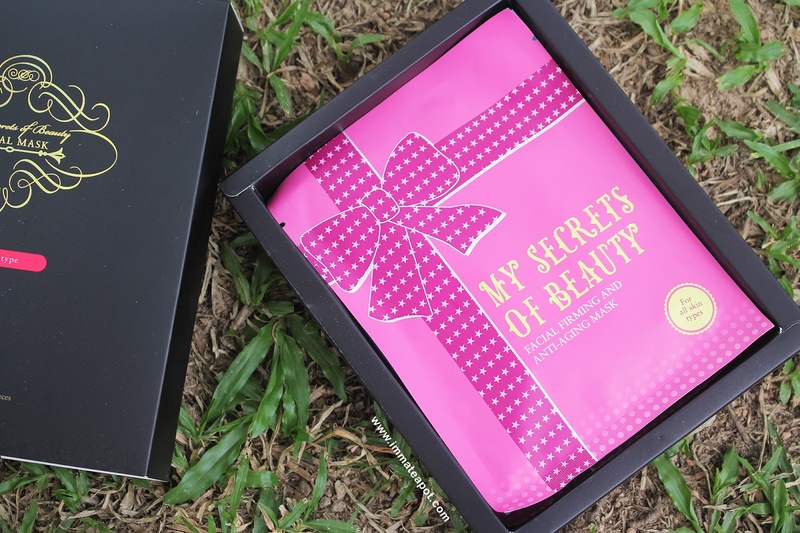 Recently, I have received a box of mask to try out from My Secrets of Beauty (MSB), a mask that manufactured and designed from HongKong, with a strong belief in bringing beauty into the next level, while in the simplest way of home care for the maximum result. I really love the packaging itself. 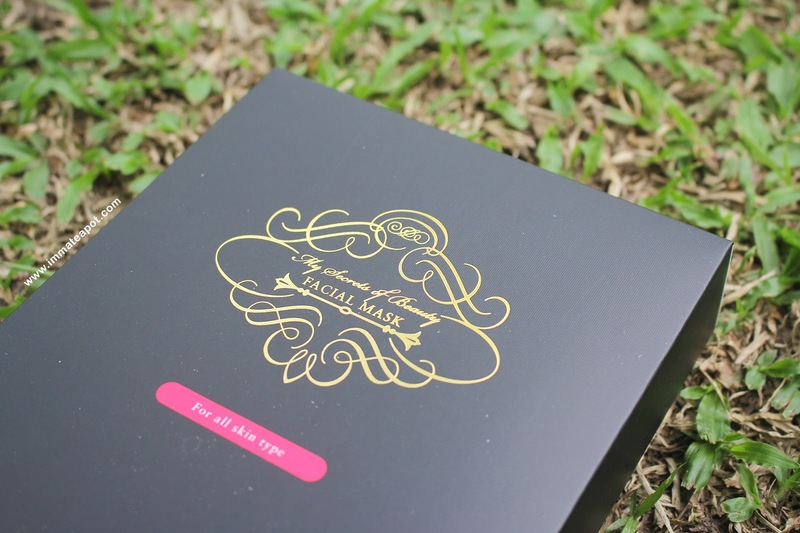 It comes in a simple yet elegant and classy long black box, with gold printing of the brand name on the matte surface. Unlike the usual box, it comes with a cover where you have to pull out, in order to get the content box. It surprises me when it comes with 7 pieces of masks in a box. There are 3 variants within a box which can be differentiated by 3 different colors. 2 pieces of anti-aging masks. It consists of unique fine molecules that helps in rapid penetration and maximum absorption. Meanwhile, it helps repairing the skin by replenishing the nourishment and improve the skin moisture level. It helps in whitening the skin while preventing the formation of pigmentation. Besides, it helps to brighten the skin and restore the skin complexion, leaving our skin with radiant glow and even skin tone. It helps to restore skin collagen and improve the skin elasticity. Furthermore, it smoothens and revitalize the skin, leaving us with fresh and youthful skin. 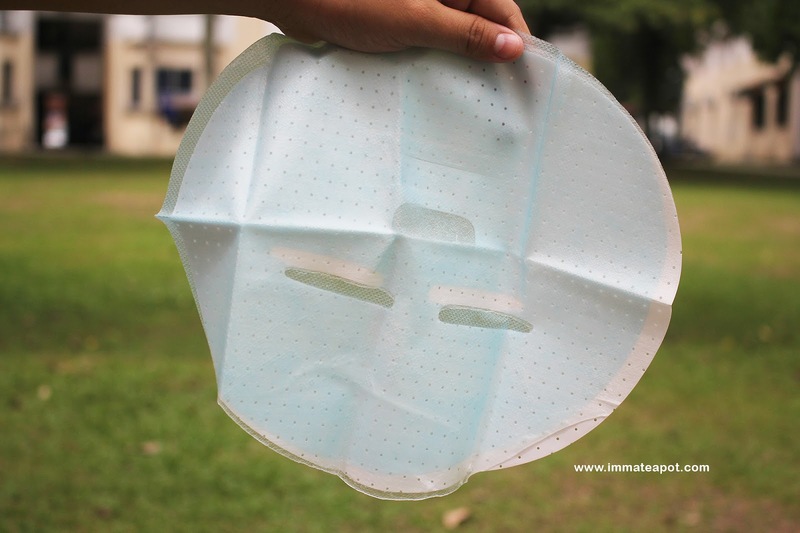 The mask actually comes with three layers, with two protective layers (white and blue layer) and one transparent sheet mask in between. 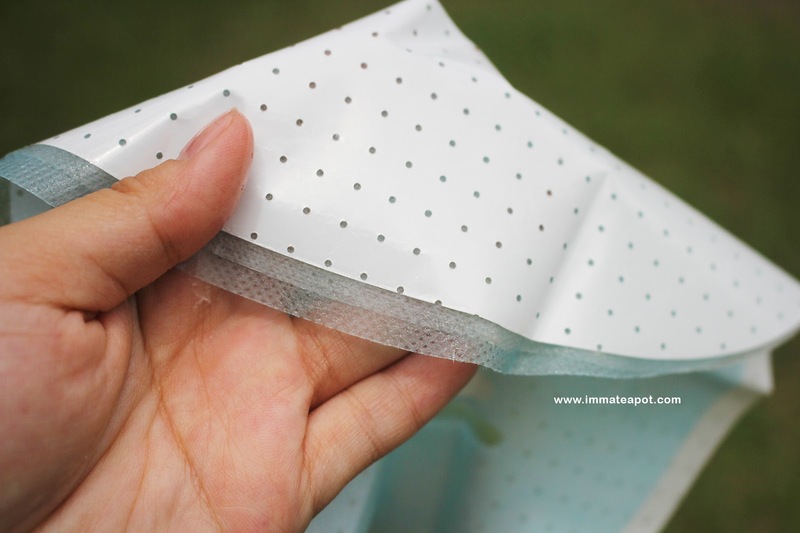 The mask is thin and soft, where it comes in a sheer silky material. The texture is rather sleek and fully soaked with essence, yet there aren't any essence dripping. The mask is designed in a way where to work like a second layer of skin, with some tiny holes that promotes excellent skin breath-ability. Maximizing the absorption and penetration. Step 1: Apply the mask on a cleanse and dry face, after peeling off the protective layers. I really love how it stays still on my face, as it was really soft, light and it sticks really well to the skin. 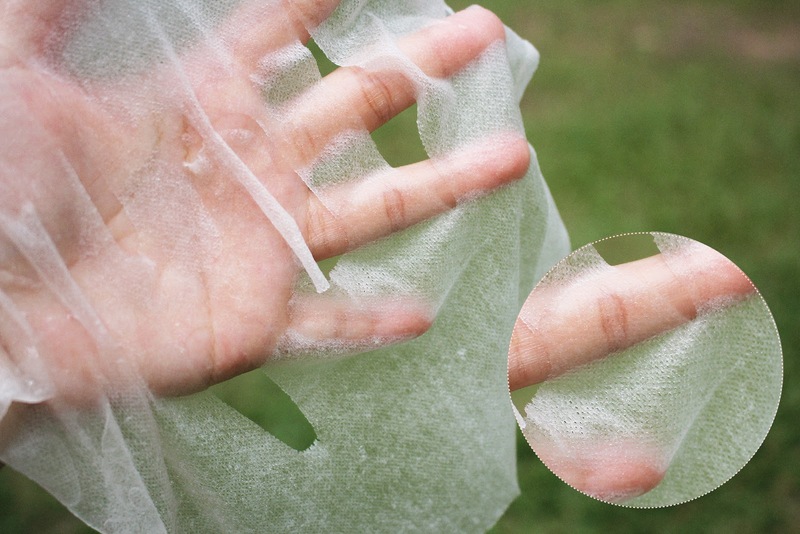 Just like the second layer of skin! I can do my own stuffs while having my mask on without any worries. Step 2: Wait for 15-20 minutes. Peel off! Even though the mask is way too big in size, but it does fit the nose, lips and eyes area very well. I guess it is the common size where to fit all the shapes of face. FREE SIZE. Step 3: Gently massage your skin until the essence is fully absorbed. I have found some people is doing it wrong by washing off the essence when they feel the stickiness on skin. It's a big waste and big NO! It's the ingredients and nourishment that going to penetrate into the skin! I feel so refreshing after using the mask. Even over-time, I still feel very comfortable with the mask on my skin! Besides, it smells so nice, with some sort of light floral aroma. 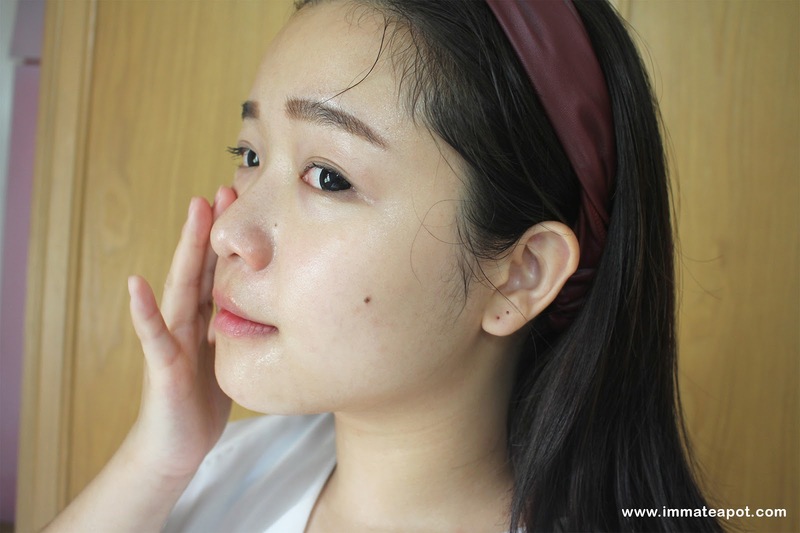 My skin feel so supple and soft after the application! Btw, MSB is running a giveaway contest, ending on 7th March! Tag, Share and Win. 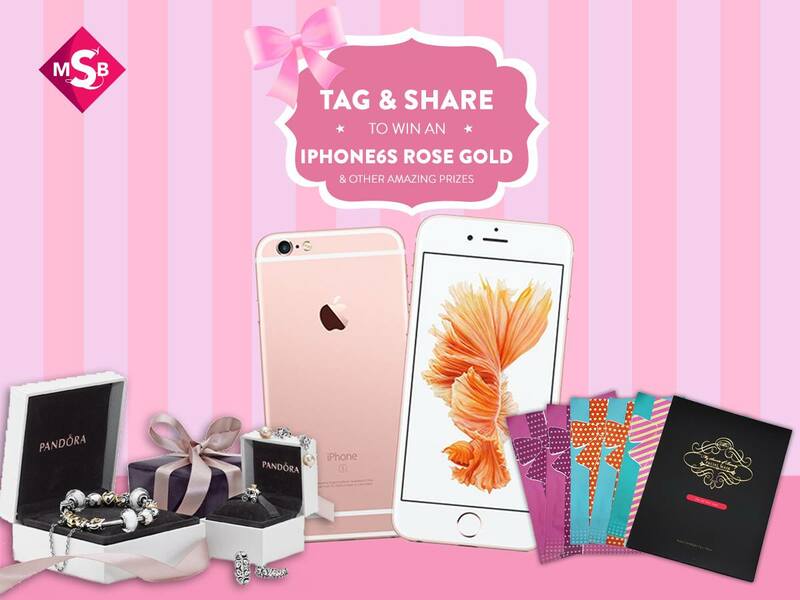 A chance for you to walk away with a iPhone 6s Rose Gold. This mask is good yet so hydrating. One of my favorite mask as well. Love the mask sheets. It look soft and right size for me.I am now starting to use mask on face at least thrice a week. 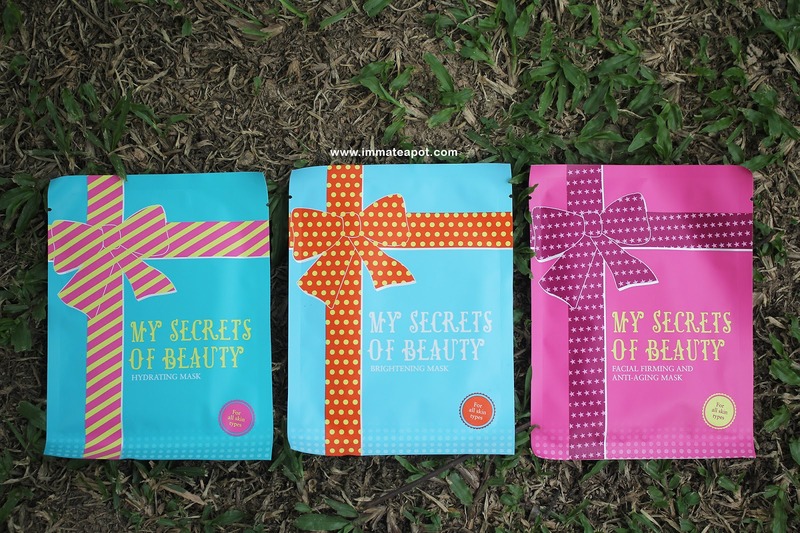 Love sheet masks babe and this one looks great. Love the packaging as well for it seems very pretty plus not to mention very hydrating too. I love the whole set and I use it 7 days in a row. Now my skin is so hydrated and radiant. Love it too. I love the packaging! Looks refreshing and moisturising to me. The mask is thin which is good for better contact with face. Yeap! I like this mask so so much too! Super moisture and thin! I love this mask too. Skin is much more hydrated now. Masks pamper the skin and all women must try them regularly. Step no 3 mentioned by you is so important. I love their texture! So soft and can spot the result after applied. chinese always say there is no ugly women, only lazy women. we must take some time to take care ourselves. No wonder you look so pretty! Somebody told me this before. The secret of good skin of Fan Bing Bing is...she use mask everyday. Your skin is very good to begin with! Hahaha! Masking is a part of our skincare regime! I actually love their mask and have used it many a times. I find them really very hydrating and skin feels smooth. Now your secret is out! Hehe. Loving this mask also! 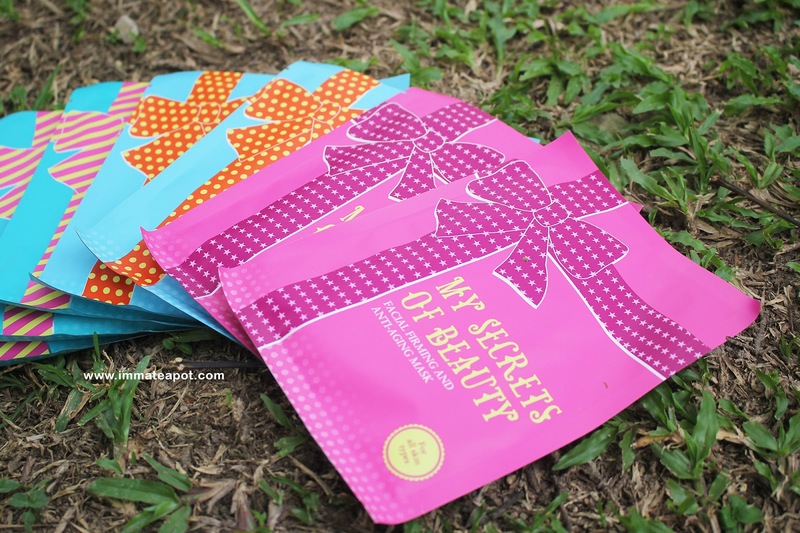 Love the pics of the product as well =D Your skin looks moisture after the mask! I heard the mask is good and the result is obvious. I want to try this mask as the comment is positive. I'm guilty of not using masks often enough!